Anaheim, CA (April 11, 2019). National Technical Systems, Inc. (“NTS”), the leader in qualification testing, inspection, and certification solutions in North America, is pleased to announce that its laboratory in Longmont, Colorado, achieved ISTA Laboratory Certification. The certification ensures packages undergo rigorous testing to protect against shock, vibration, and atmospheric hazards. “The ISTA certification is a testament to NTS’s commitment to maintaining the highest standards for packaging testing,” said Michael Graham, General Manager at NTS Longmont. 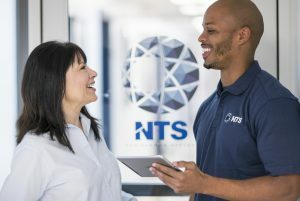 The Longmont facility joins several NTS locations, including NTS Chicago, NTS Orlando, NTS Silicon Valley, and NTS Boxborough, as robust laboratories with ISTA Certification. National Technical Systems, Inc. (NTS) is the leading provider of qualification testing, inspection, and certification services in North America, serving a broad range of industries, including the civil aviation, space, defense, nuclear, telecommunications, industrial, electronics, medical, and automotive end markets. Since 1961, NTS has built the broadest geographic presence in the United States, offering more than 70 distinct environmental simulation and materials testing categories, including climatic, structural, dynamics, fluid flow, EMI/EMC, lightning, product safety, acoustics, failure analysis, chemical, and other industry-specific tests. 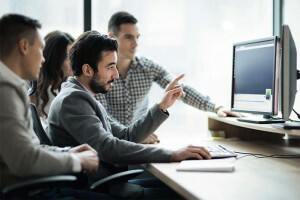 Operating through a network of more than 28 technologically advanced testing laboratories, this geographically diverse footprint puts NTS facilities in close proximity to its more than 4,000 clients, allowing NTS to serve the nation’s most innovative companies with industry-leading accessibility and responsiveness. NTS is accredited by numerous national and international organizations and operates its inspection division under the Unitek brand, providing a wide range of supply chain management services. NTS’ certification division, which operates under the NQA brand, is one of the largest and most respected global ISO registrars, with active certifications in more than 75 countries. For additional information about NTS, visit our website at www.nts.com or call 800-270-2516.